As I write this post it’s Halloween in the UK. I run a Code Club at a local school, and today is club day. So why not combine the two with some digital pumpkin carving! 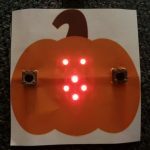 All you need is to print out a pumpkin shape to the size of a Microbit on some standard printer paper. 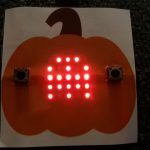 The LEDs are bright enough to shine through to display whatever pattern or shape you make. The code can be as simple or as adventurous as you like. Use the “show icon” block for one of the predefined shapes. Use “show LEDs” to make your own. Attach different shapes to different actions, or even animate it. Here’s the Word Template I created. The original pumpkin clipart is from TechFlourish.com and to the best of my knowledge is free for personal use. 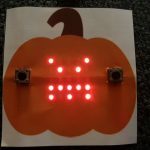 This entry was posted in Microbit, Projects on October 31, 2018 by ForToffee. 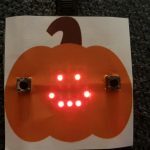 This entry was posted in Add-On, NeoPixel, Projects, Raspberry Pi on August 5, 2018 by ForToffee. 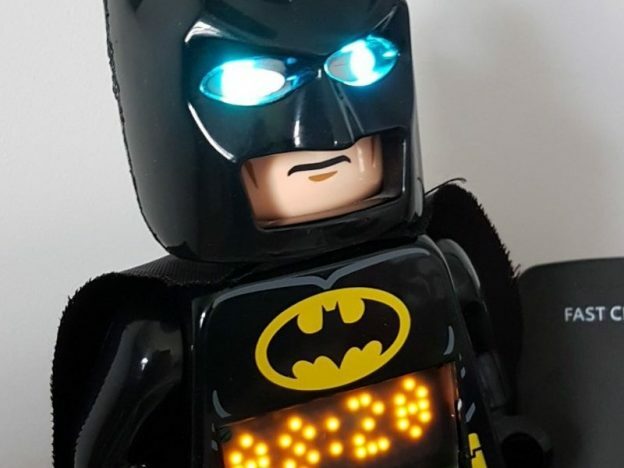 This entry was posted in Projects, Raspberry Pi on June 17, 2016 by ForToffee. I have been looking for an excuse to use some large, light up arcade buttons for a while now. With a weekend pass for the Raspberry Pi party I decided this was the time to go all out and create my biggest Pi build yet! This entry was posted in Projects, Raspberry Jam, Raspberry Pi on March 5, 2016 by ForToffee. This project was inspired by the work of Andy Stanford-Clark (@andyc) and Lucy Rogers (@drlucyrogers). 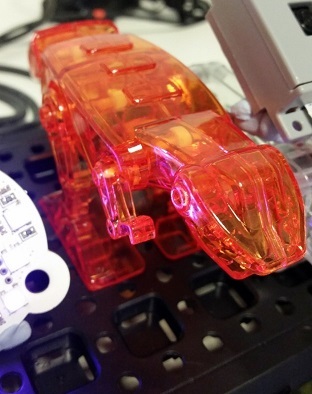 They used NodeRED to control a Maplin Action Dino kit via the Twitter hashtag #wakedino. When a tweet containing #wakedino is found by the NodeRED script, the motor is started, which in turn makes the dinosaur nod up and down. 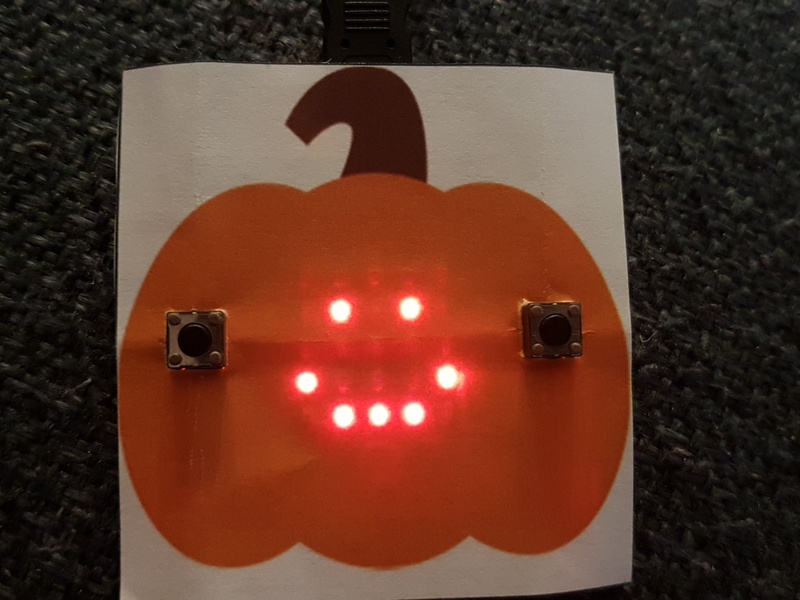 This entry was posted in Add-On, IoT, Projects, Raspberry Jam, Raspberry Pi on October 13, 2015 by ForToffee.